According to the American Heart Association, heart disease is the number one killer in women - it causes the death of 1 in 3 women each year, killing approximately one woman every minute. The reality is that only 1 in 5 American women believe that heart disease is their greatest health threat. Since 1984, more women than men have died each year from various forms of heart disease. When compared against the national average for the entire population, heart disease kills 1 in every 4 people. The symptoms of heart disease are often misunderstood and can be different in women vs. men. With that, the gap between men and women's survival continues to widen, as women are far less likely to call 911 when experiencing symptoms of a heart attack themselves. It just does not occur to them to do so, as of the media attention on the disease focuses almost solely on men. Heart disease affects the blood vessels and cardiovascular system. Numerous problems can result, many of which are related to a process called atherosclerosis. This is a condition that develops when plaque builds up in the arterial walls. This buildup narrows the arteries, making it harder for blood to flow through. If a blood clot forms, it can stop the blood flow, which can cause a heart attack or stroke. Many things can put a person at risk for heart problems – one's you can control, and others that you cannot. However, with the right information, education, and care, heart disease in women can be treated, prevented, and even ended. The Dietary Guidelines for Americans and the American Heart Association recommend eating a variety of nutritious foods from all food groups. Consuming a diversity of fruits and vegetables may help you control your weight, cholesterol, and blood pressure. In addition, consuming foods rich in fiber may reduce the risk of heart disease, obesity, and diabetes. To start on the path to eating right, consider a heart-healthy diet that includes avocados. This tasty green fruit contributes nearly 20 vitamins, minerals, fiber, and beneficial plant compounds that can enhance the nutrient quality of any diet. 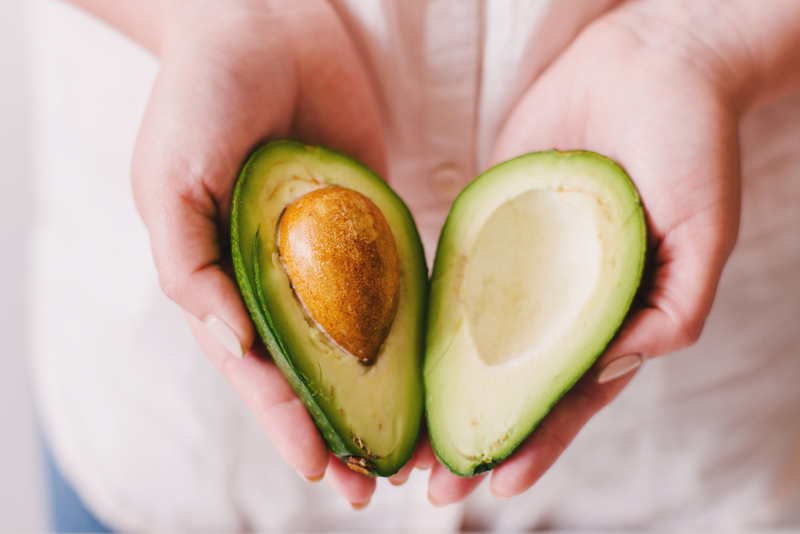 Avocados can be eaten alone or used in a variety of delicious recipes – from soups to salads to smoothies – all of which can fit into your sensible eating plan. Give your holiday menu a tasty heart-healthy twist by inviting avocados to your festive occasion. Always in season, this favorite green fruit is available alongside other traditional winter produce favorites like sweet potatoes and acorn squash. Try avocados in tempting seasonal salads, vegetable dishes, and dessert or as a spread for appetizers or dotted throughout your main course. To help set your table in healthful style, we’ve assembled five new ways to introduce avocados to your family this holiday season. We’ve assembled a handy holiday shopping list to make sure that you have everything needed to cook up a feast. If you make any substitutions or change proportion, be sure to adjust your list accordingly. Ready to get your #HolidayReFresh going? Snap & share photos using the hashtag above & tag @Iloveavos_ on Instagram for a chance to be featured! Preheat oven to 375˚F. Place bread slices on a baking sheet. Mix olive oil with garlic powder and lightly brush onto bread slices. Bake for 10-12 minutes or until edges turn a slight golden brown. Set aside. Add avocado, cheese, and lime juice to a food processor or blender and process until smooth. Add up to a tablespoon of water until mixture is spreadable. Season with salt and pepper to taste. Spoon mixture onto toasted bread slices, top with pomegranate seeds and more cheese if desired. Enjoy. Photo courtesy Monique Volz and Sarah Fennel. Preheat oven to 400˚F. Cut acorn squash in half horizontally and scoop out the insides. Brush the insides with olive oil and sprinkle with salt and pepper. Roast acorn squash with the cut side up for 35-45 minutes or until squash is tender in the middle and brown on the edges. While squash is cooking, heat oil in a large skillet over medium heat. Add the onion plus a pinch of salt and pepper. Cook onion until translucent and then stir in garlic, cumin, and coriander. Add the quinoa pilaf, black beans, scallions, red pepper flakes, pumpkin seeds, feta cheese, lime, Tabasco sauce, and a pinch each of salt and pepper. Remove skillet from the heat, let mixture cool, then stir in the diced avocado. Scoop the filling into the acorn squash halves and serve. Preheat oven to 400˚F. Peel and chop sweet potatoes into cubes. Toss the sweet potatoes with 1 tablespoon of olive oil adding a pinch of salt and pepper. Bake for 25-35 minutes flipping sweet potatoes occasionally. Remove from oven and set aside. Prepare the wild rice according to the package directions. Combine the roasted sweet potatoes with the cooked wild rice in a large bowl and place in the fridge. Combine dressing ingredients in a small blender or a food processor. Blend until completely combined and set aside. Chop the apple and avocado and toss with lemon juice to keep from browning. Add the apple and avocado combination to the sweet potato and wild rice mixture and then toss. Add lettuce, dressing, cranberries, and almonds, toss again and serve.